Hotwork has several methods available to assist clients with the fill of their furnace. 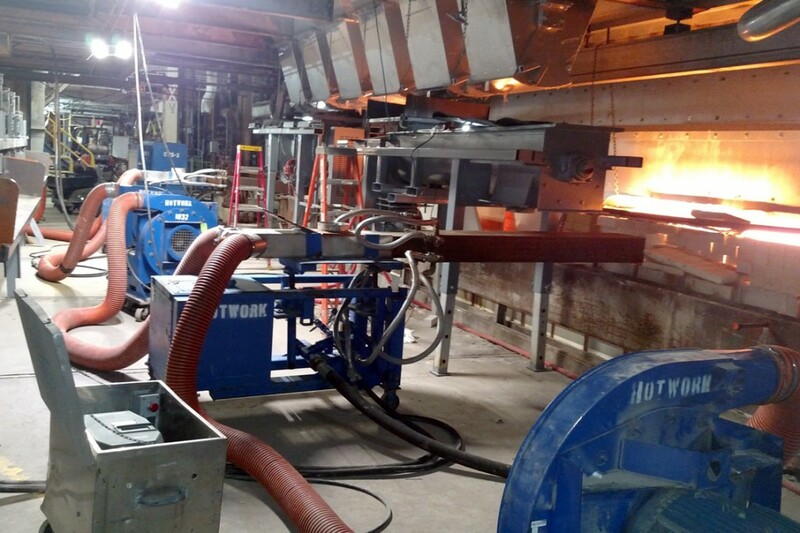 Hotwork has the ability to blow cullet into the furnace using a cullet gun. This method has the advantage of distributing the cullet deep into the furnace to allow for rapid melting. It avoids placing a large cold mass of cullet in the doghouse which has been known to cause refractory problems. Some clients are concerned about dusting of the furnace superstructure that may occur when blowing dry cullet. This problem is of more concern to some clients due to the specific quality of the cullet that they use, the type of refractories utilized in the furnace, the quality of the glass that they produce and other factors. In order to address this issue, Hotwork introduced the cullet wetting system which minimizes the dusting condition by wetting the cullet with water before blowing it into the furnace. This method allows the benefits of blowing cullet (wide distribution, fast melting rates) while minimizing the dusting condition. For those most concerned about the potential for dust from blowing cullet, Hotwork also has a vibratory cullet feeder.